[SatNews] O3b Networks now has an agreement to provide trunking services to SpeedCast for their customer Christmas Island Internet Administration Limited (CIIA), the only Internet Service Provider (ISP) on Christmas Island. Aerial photo of Christmas Island. Under the agreement, SpeedCast will provide CIIA with high throughput, low latency connectivity, enabling the first broadband Internet access experienced on the island. Christmas Island, an Australian territory in the Indian Ocean with an approximate population of 2,100 people, is geographically close to Indonesia. 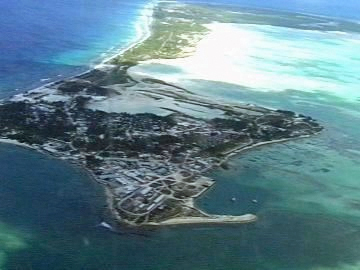 The island earned its unique name by being discovered on the 25th of December, 1643, by Captain William Mynors of the British Royal Navy, and is famous for its 135 square km Australian National Park. Christmas Island Internet Administration Limited (CIIA) is a community-owned, non-profit Christmas Island Company which owns and operates the only not-for-profit ISP in the territory. Until now, CIIA has been relying on geostationary satellite (GEO) connectivity for Internet access, also provided by SpeedCast. The use of O3b satellites, which are closer to the Earth than GEO satellites, reduces latency, increases Internet speed and improves voice and video quality for the user. CIIA will be using O3b’s next-generation IP trunking solution, O3bTrunk, that boosts existing link capacities to rival the throughput and latency of terrestrial fiber, while avoiding the prohibitive cost of laying an undersea cable to the island. "SpeedCast is offering O3b's unique satellite solution to greatly enhance the service that CIIA is currently using today. We anticipate a dramatic improvement in performance with a three-fold increase in capacity and a 75 percent reduction in latency," said Pierre-Jean Beylier, CEO of SpeedCast. "Our customer, CIIA, will be able to offer their end-users the best Internet connection available, further cementing their position as the ISP of choice for all of Christmas Island."